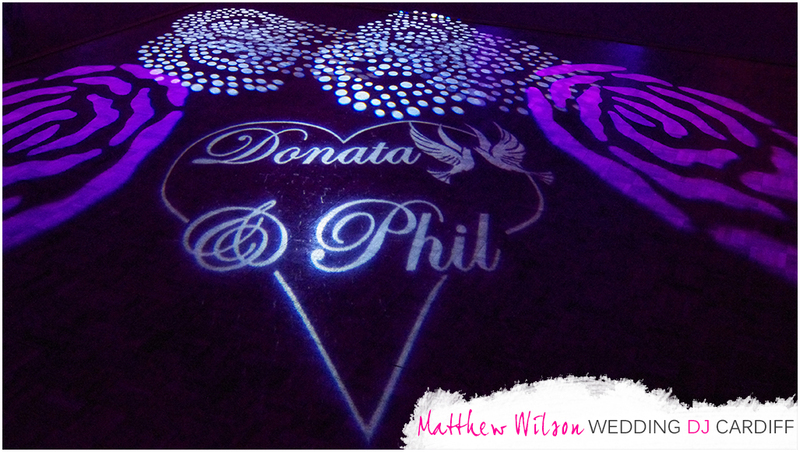 A monogram is a custom made personalised image projected onto a wall, floor or ceiling of your choice. Typical monogram requests for us include hearts, doves, stars and obviously the names of the wedding couple. 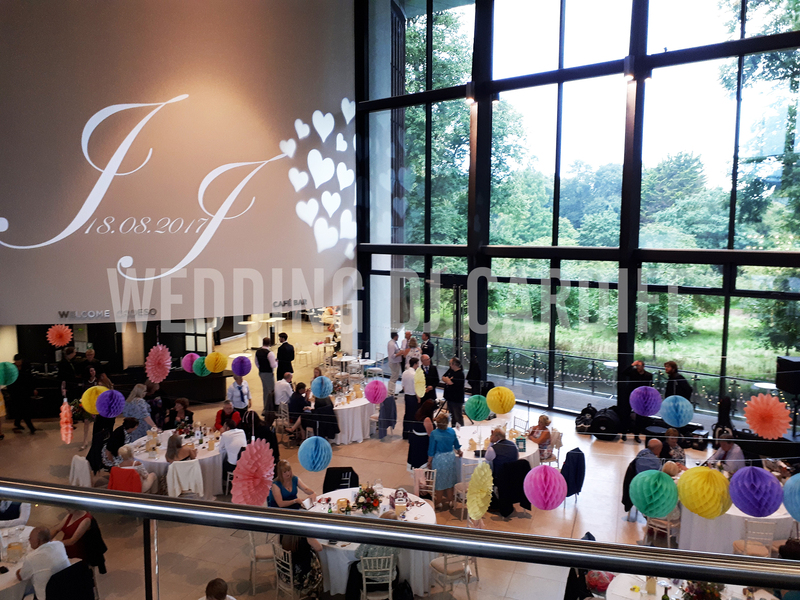 Wedding couples who wish to personalise their weddings with a monogram are asked what they would like in their very own monogram. From this feedback, I personally design a selection of images for couples to choose their favourite from. 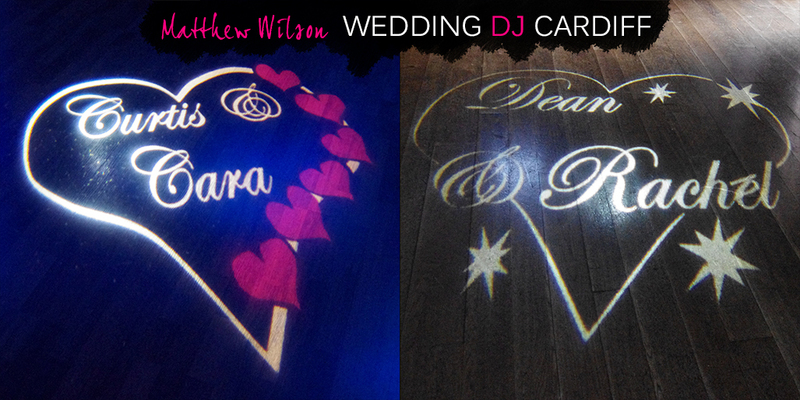 These designs are then sent to our Gobo manufacturer who turns the designs into a glass slide, ready for projection at your wedding venue. BRIGHT monograms that can be seen in night AND day.